Buy More Cabana Stripes Ribbon Save More! 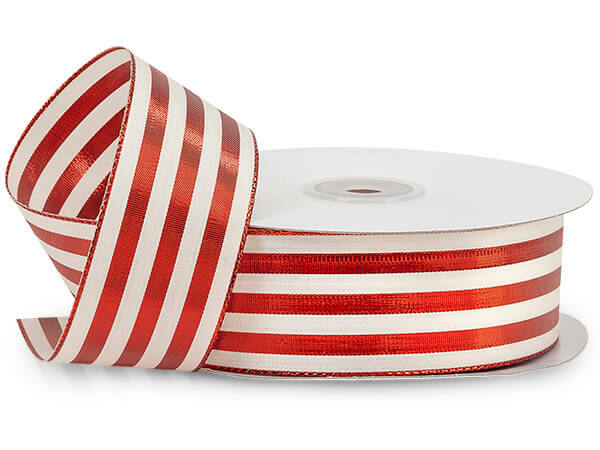 Metallic Red Cabana Striped Ribbon makes super cute bows and perfect for Christmas & Valentine's Day. One of our most popular ribbons! 100% polyester. Cabana Stripes Ribbon has bold bright stripes on a natural tone ribbon. These ribbons make beautiful full bodied bows and are available in multiple colors and sizes.100% polyester ribbon with a monofilament edge. The soft ribbed texture makes tying bows easy!